Boy have I had a bad week, this week. I don’t want to bore you with my personal life, but a man I would have considered the closest thing to a dad died Saturday evening. So naturally I spent most of this week travelling, whether it’s by bus from London to Dublin, over to Galway or heading by car back up home to Donegal. As a result I’m only just home in London again today and feeling decidedly out of spirits. 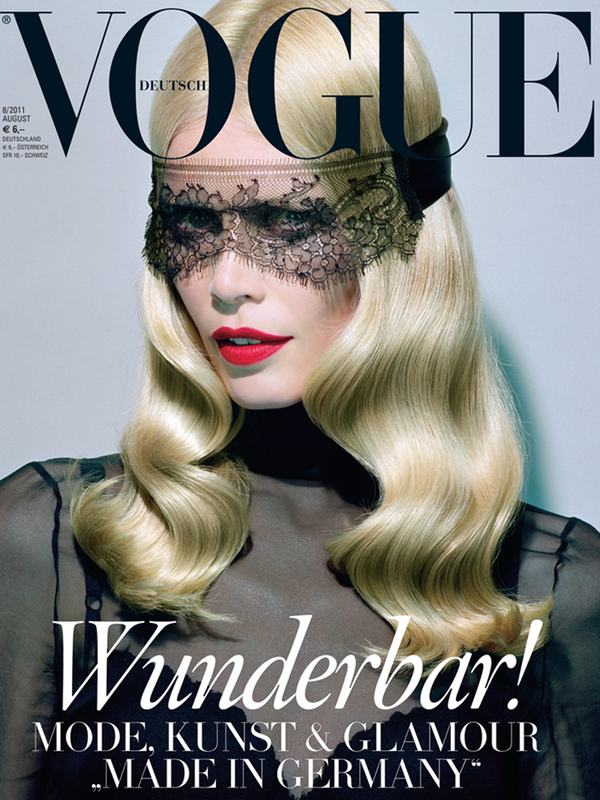 It seems rather fitting then, that the first images for Claudia Schiffer’s German Vogue cover (August 2011) have been released today, and they’re very dark and gothic. I like how it matches my mood, but along with that, Claudia looks incredibly stunning in fetish and black wear. Shot by Miles Aldridge, this issue should be out in the next few days. Who says, modelling stops when you hit 30? Have a look at the images below and let me know what you think. August 2011 Claudia Schiffer fetish German Vogue ooh they're pretty!